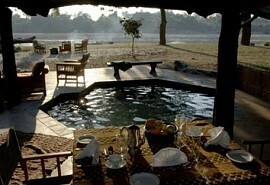 Visit camps along the Luwi River, a remote, dramatic and diverse area in the north of the South Luangwa Nationa Park. This 9 night South Luangwa journey is a privately guided safari adventure along the Luwi River as it meanders through some of the most remote areas of the South Luangwa National Park. This seasonal sand river carves its way across the Northern sector of the park through dramatically varying habitats to the confluence with the Luangwa River at Kakuli Camp. 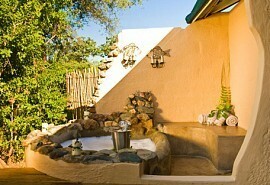 Norman Carr Safaris have three camps along the course of this beautiful and dynamic river. The eponymous Luwi Camp which has been described as "the best little bush camp in Africa" is the starting point for the adventure, exploring the wild areas up towards the source of the Luwi where no other people ever go. 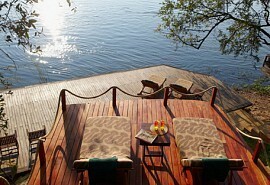 Then a few days are spent at Nsolo, downstream of Luwi and at Kakuli with its wide views high on the banks of the Luangwa. Guests can also opt for a night or two out under the stars with just a mossie net, a guide and a scout for company and camp fires to ward off nocturnal visitors, miles from "civilization" - this Return to the Wild sleep out is only for the most adventurous of spirit! 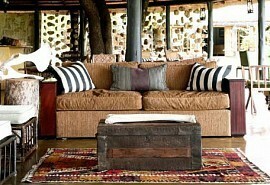 Arrive at Lusaka and fly to Mfuwe where you will be met and driven to Luwi Bush Camp. Settle in to camp and depending on your time of arrival set out on foot to explore the local area, spend time at the nearby croc and hippo filled lagoon and get your bearings. For the most adventurous of spirit – leave Nsolo and head downstream towards Kakuli. Find a spot to set up your bedroll and mossie net, build the camp fire and make preparations for your "Return to the Wild" sleep out night.